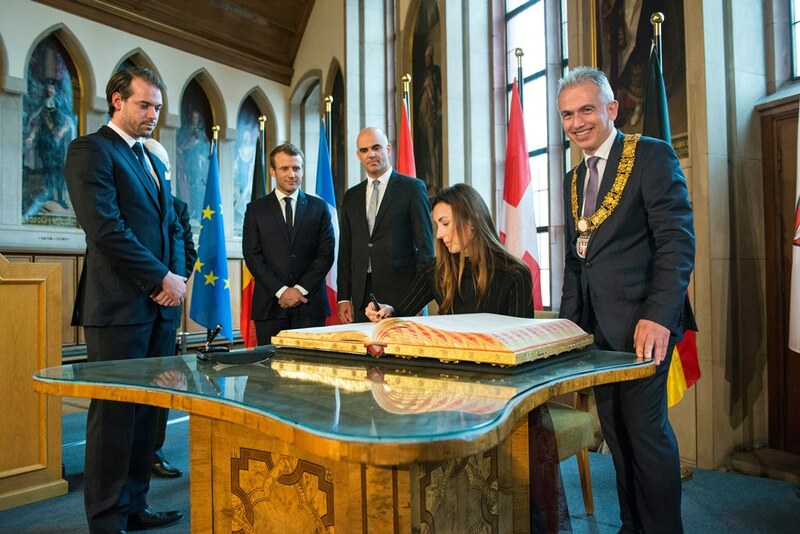 Prince Félix and Princess Claire visited Frankfurt, Germany, today. Accompanied by the Secretary of State, Guy Arendt, they attended the opening of the Frankfurt Book Fair, which is the world's largest event of the publishing industry. Also present for the occasion were French President Emmanuel Macron and German Chancellor Angela Merkel. France in the so-called 'guest of honour's of this year's bookfair and being a French-speaking country Luxembourg is a partner of France's pavilion Francfort en français. 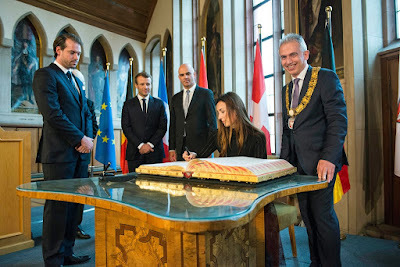 Afterwards, Prince Félix and Princess Claire also signed Frankfurt's golden book at the townhall alongside President Macron and attended a concert hosted by the President. Update: The cour now offers more visuals.